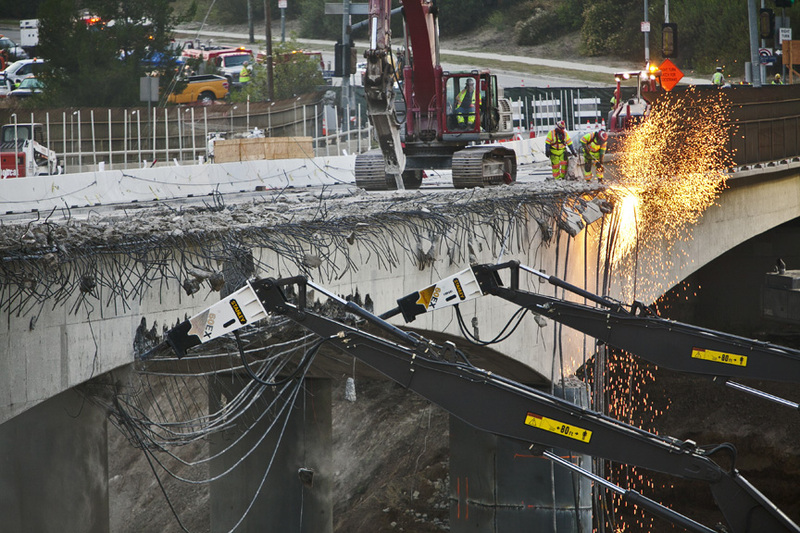 Widening and partial destruction of the Mulholland Drive bridge began in the early Saturday morning hours. 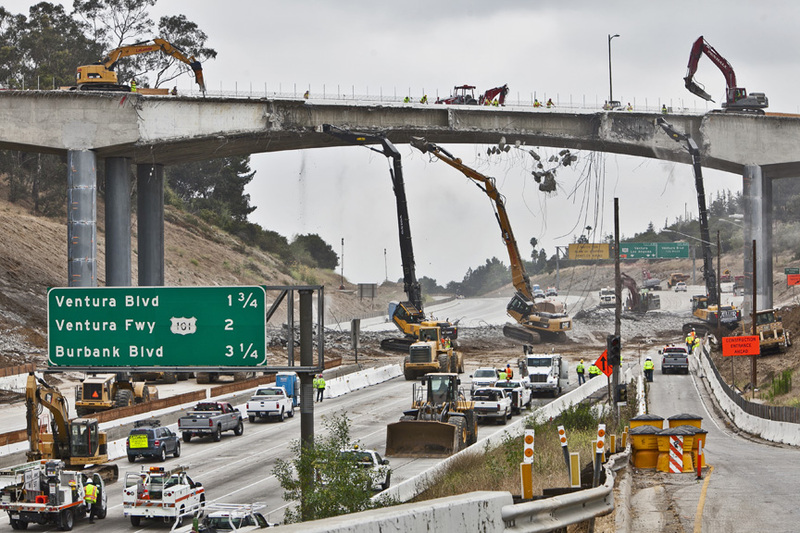 Twin jack hammers, each installed on a long crane, resembled long neck giraffes hungrily tearing away at the bridge's concrete and rebar, sending large chunks to the tarmac below. 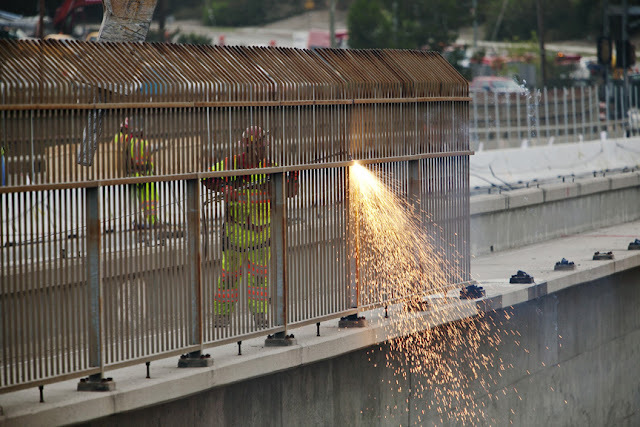 Other parts of the bridge were met with a hot oxy-acetylene torch that quickly sawed in the bridge. Destruction is expected to last until this Sunday. 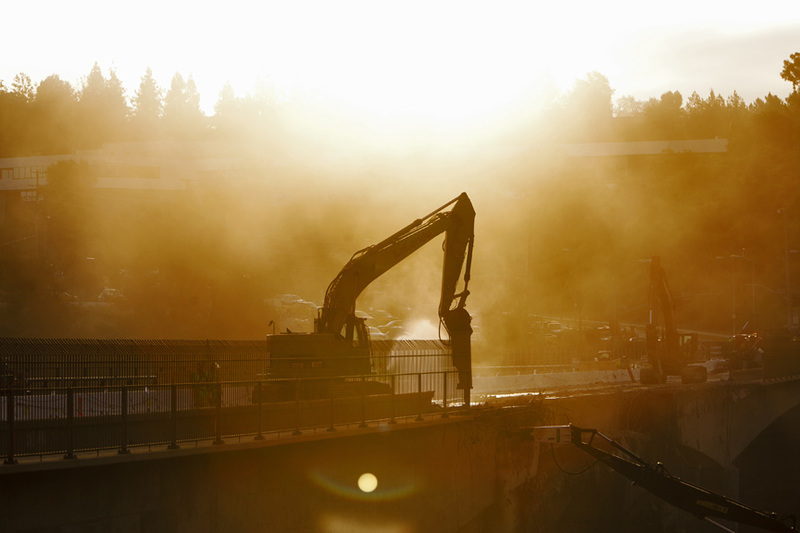 Sunrise over the Mulholland dr. bridge. 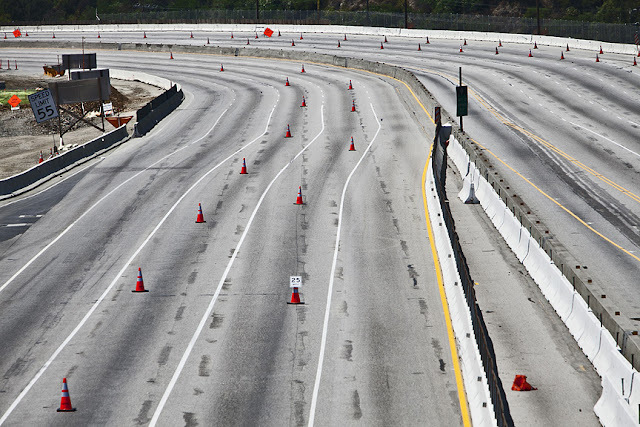 An empty 405 near the Skirball Center bridge.